The deadline to register or re-register to vote for any election is 11:59:59 p.m. Pacific Time on the 15th calendar day before that election. If you submit an application after this time, your application will still be processed for future elections. Your information will be provided to the California Department of Motor Vehicles (DMV) to retrieve a copy of your DMV signature. If you do not have a California driver license or California identification card, you can still use this form to apply to register to vote by completing the online interview by 11:59:59 p.m. Pacific Time on the 15th calendar day before an election. Questions to ask on a College visit! On Thursday, January 10th at 6:30pm, Ponderosa High School will host a PSAT Scores Information Night for parents and students. This event is specifically geared towards students who have taken the PSAT. The speaker will be an instructor from the test prep company Kaplan and the presentation will explain the scoring of the PSAT, compare and contrast the PSAT, SAT and ACT, and discuss where these scores can take them and which test may be the best suited for them. The event will be in the cafeteria and will last one hour. The Preliminary SAT/National Merit Scholarship Qualifying Test is a great tool for students considering college. The PSAT/NMSQT measures critical reading skills, math problem-solving skills and writing skills. Ponderosa High School recommends that students take the PSAT/NMSQT in order to receive feed back about strengths and weaknesses, enter the competition for National Merit Scholar scholarships (11th graders) and to help prepare for the SAT. For students wishing to study for the PSAT, Collegeboard's official study materials are available from Khan Academy. Students can also stop by the College & Career Center and pick up their PSAT Study Guide. For the 2018 PSAT/NMSQT, students at Ponderosa High School will be registering online. This registration will take a few minutes and can be completed from any computer with internet access. The cost is $20.00. Ponderosa High School desires that students be able to take the test regardless of their ability to pay. Students requiring financial assistance should see below. Online Exam registration will begin on Saturday, Sep 1, 2018 at 12:00 AM and end on Monday, Oct 1, 2018 at 11:59 PM. In order to register, students should click on the link provided on the school website or click here. To complete registration, students must answer all of the required questions. Registration is not complete until students have printed the pdf of the confirmation page that is provided at the end. Ponderosa High School is excited to offer families the convenience of paying exam fees online at the time of registration. Please be sure to have a debit or credit card available before beginning registration. Paying online is a great way to make sure that payment has been made while avoiding mailing payment. Thu, Oct 4, 2018 at 11:59 PM - Registrations that have not been paid for or post-marked by this date will be canceled. Please contact Mrs Cammie Escobar, cescobar@eduhsd.net , if you have questions. In order to be eligible for a reduced fee for your PSAT exam, you must meet income-eligibility guidelines. If you have already been accepted to the Free/Reduced Meal program, you will indicate that when you register online. Your AP test registration will be placed on hold while we verify your Free/Reduced status. If you are not currently in the Free/Reduced Meal program but feel that you would qualify, please access the EZMealApp website to apply. If you are approved, you will receive a letter stating this. You will need to give a copy of this letter to Mr. Spratling in the Counseling Office before being approved for the PSAT fee reduction. 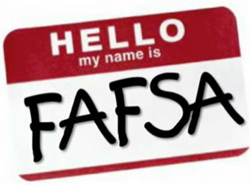 The FAFSA (Free Application for Federal Student Aid) is a federal form for financial aid that is accepted by most schools. The information you provide will be used to figure the amount your family can afford to contribute toward your education (also known as your EFC: estimated family contribution). The FAFSA for college attendance beginning Fall of 2018 can be filed beginning October 1, 2017, using your 2016 tax year information. If your financial or living situation has significantly changed since 2016, you will still be required to use your 2016 information, then follow up with a call to each of your colleges' financial aid offices to explain your situation. You will be asked for documentation. Financial aid deadlines vary by college, but if you file your FAFSA by December you should be in no danger of missing a deadline. If you are unsure, check your college's website. Fill out the FAFSA online at www.fafsa.ed.gov. Families wanting to get a preliminary EFC before they are eligible to fill out the FAFSA can use the FAFSA4caster. Your Cal Grant GPA will be uploaded to the California Student Aid Commission in December. This gpa is calculated differently than most gpa's you've seen, but should be close to what you normally know as your cumulative gpa. There is nothing you need to do, no paperwork to fill out. What you DO need to do is follow up! It is important for you monitor your Cal Grant status and make sure your GPA actually made it all the way into the state's database. Remember, a missed deadline is a missed deadline, even if it wasn't your fault. After you file your FAFSA. visit webgrants4students to verify your status - you'll need to create a profile. If anything you see (or don't see) worries you, ask Mrs. Bastian or your Counselor to help you figure it out. This is a federal student loan. With the unsubsidized loan, the interest accrues while you are in school, but you don't pay it until after you stop attending. With the subsidized loan, the government pays the interest while you are in school. A college might offer Work Study (on-campus employment) as a way for you to meet your cost of attendance. It is important to know that these offers can vary widely from college to college. Work Study is very similar to having an off-campus job, but with Work Study your pay in considered financial aid rather than income. 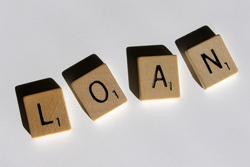 If you still have unmet need, the PLUS loan is a popular loan for parents of students. Some families choose to use a home equity-type loan. Shop around for best interest rates and repayment options. Most Local Scholarships are due March 1, 2019!!! CA Local Scholarships Find our local scholarships here! 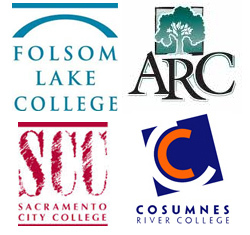 In addition to the scholarships listed below, do not forget to log on to www.CaLocalScholarships.org and create a User Profile to apply for our local scholarships! 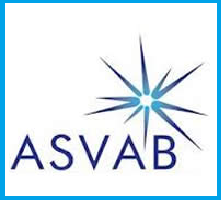 Fall ASVAB will take place on Monday, November 5th from 1:00 to 4:00 in the N4 computer lab. Sign up in the College & Career Center if you would like to take the test. Complete form on-line, save, and attach to email. Sign up to receive text message reminders from the College & Career Center! CSF is hosting the PSAT/ACT Combo test again this Feb. 9th from 8:30-1:00 at PHS. Below is the link for students to register bit.ly/pond2019. This is a great event for students to gain some insight on which test they should take (SAT or ACT). More info here.